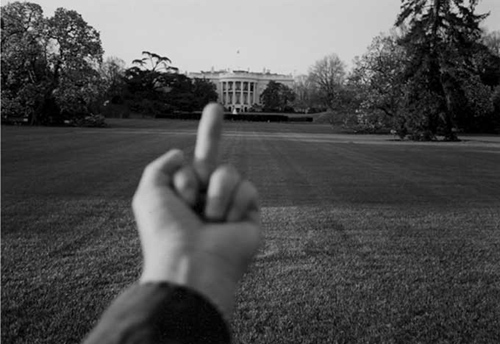 Home » Where is Ai Weiwei? It’s been over one week since Chinese artist Ai Weiwei was arrested by the Chinese government at Beijing airport. He has not been heard from since and the government is accusing him of ‘economic crimes’. Where is he? And why aren’t Canadians demanding to know? Ai Weiwei is best known for his installation Sunflower Seeds, currently on view at Tate Modern’s Turbine Hall. Each porcelain seed was made and hand painted by Chinese specialists working in Jingdezhen, emphasizing the labour that has gone into the project. As someone suggested to me recently, seeds are about potential growth. So you can imagine the impact of a hundred million seeds carpeting the Turbine Hall. In 2007, he mounted Fairytale, an online campaign-slash-artwork that sent 1,001 Chinese to Documenta in Kassel, Germany that year. The piece that most displeased Chinese officials, however, was his installation (Untitled, 2011) and sound-based work (Remembrance, 2010) that commemorated the children killed in the 2008 Sichuan earthquake when their shoddily built schools collapsed. When Mr. Ai had visited Sichuan after this earthquake he was roughed up by police so terribly that he needed cranial surgery for his injuries. Ai Weiwei’s detaiment is easy to ignore, of course. It doesn’t impact any of us on a daily basis here in Canada. But when you think about it, for an artist to be denied freedom of expression is an awful thing. Art is a language that opens minds. It pushes society forward. If it wasn’t for artists exploring and enriching the world through their art, whether dance, theatre, literature, architecture, visual arts, even fashion and cuisine, where would we be? Without the likes of boundary-pushing artists Robert LePage, DBC Pierre, Alexander McQueen, Ferran Adria, Olafur Eliasson to name only a few. I would argue that the best art pushes boundaries the farthest. So how can we, as Canadians sit by and ignore what is happening to Ai Weiwei? Canada’s government – or at least the country’s cultural institutions – must come together to make a statement in protest. Daina Augaitis, chief curator at the Vancouver Art Gallery, was the first in Canada to denounce Ai Weiwei’s detention. I agree with Augaitis, who says that Canada needs to join the growing international movement calling on the Chinese government to release Mr. Ai. Now there is a movement in the works in Toronto. STAY TUNED FOR MORE ON THIS. And if you haven’t seen it, please watch his TED talk, HERE. There’s a good article that I recommend in the Independent, HERE. Thanks for bringing this to wider attention VOCA. As a visual artist in one of the wealthiest and freest countries in the world I feel an obligation to join the growing chorus demanding the release of Ai Weiwei and ALL people held because they have questioned authority. Spread seeds of democracy. Thanks for that. I’ve signed it, and I hope many of my readers do, too. Thanks for helping, free Ai Weiwei!